Our work on the BC Central Coast explores how land-ocean coupling affects the ecology and biogeochemistry of the nearshore ocean. 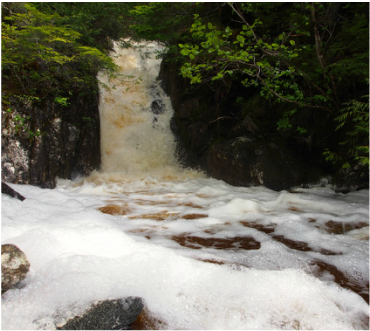 The current focus of this research is an exploration of the landscape controls on dissolved organic carbon and nutrient flux from small watershed systems, and the distribution and fate of riverine materials in the coastal ocean. Our team's contribution to this project is one component of a highly interdisciplinary effort that involves hydrologists, terrestrial ecologists, microbial ecologists, and biological oceanographers from multiple institutions. Our work in this region is also supported by participation in the Coastal Rainforest Margins Research Network.